Product prices and availability are accurate as of 2019-03-26 16:42:39 UTC and are subject to change. Any price and availability information displayed on http://www.amazon.com/ at the time of purchase will apply to the purchase of this product. Whether its vanilla or chocolate cake, or your grandmas apple crisp recipe, the Paula Deen Signature Bakeware 9-Inch Round Cake Pan will bake your creation to perfection. The champagne colored non-stick interior and exterior look great and promotes even browningallowing baked foods to slide off easily. 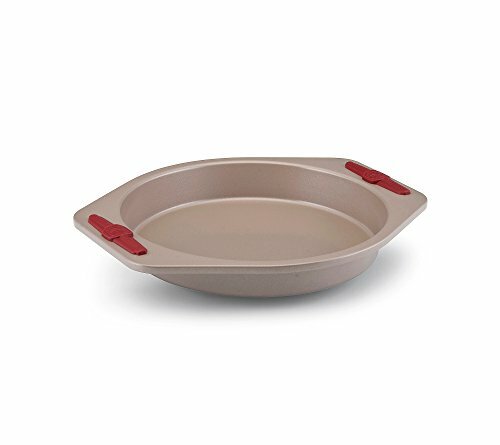 Professionally designed with a rolled rim for extra strength, durability and to resist warping, this cake pan also features comfortable silicone grips for a more slip-free grasp.